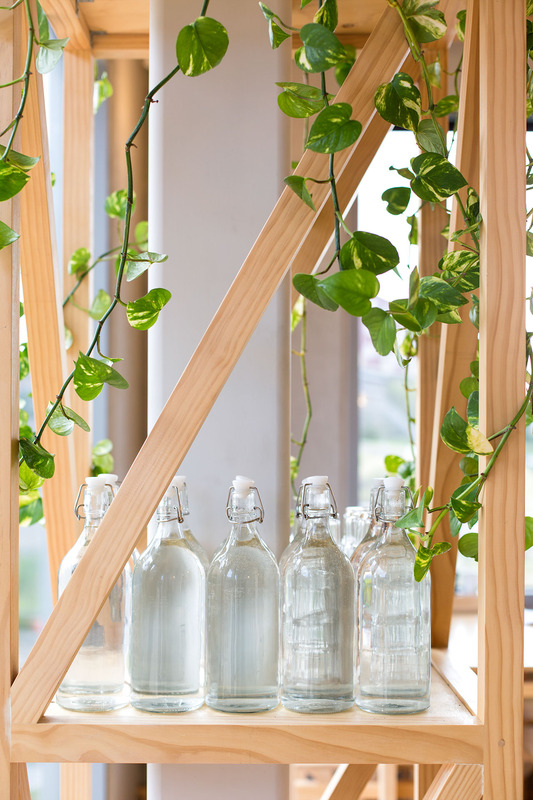 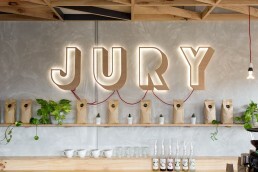 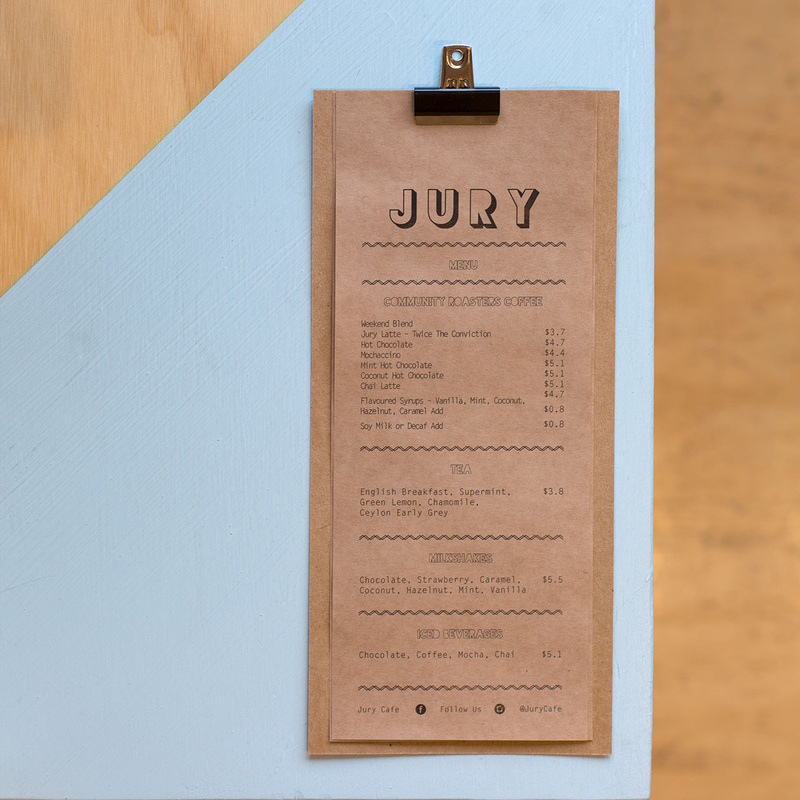 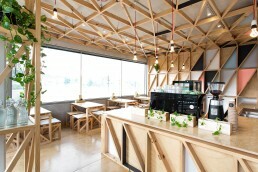 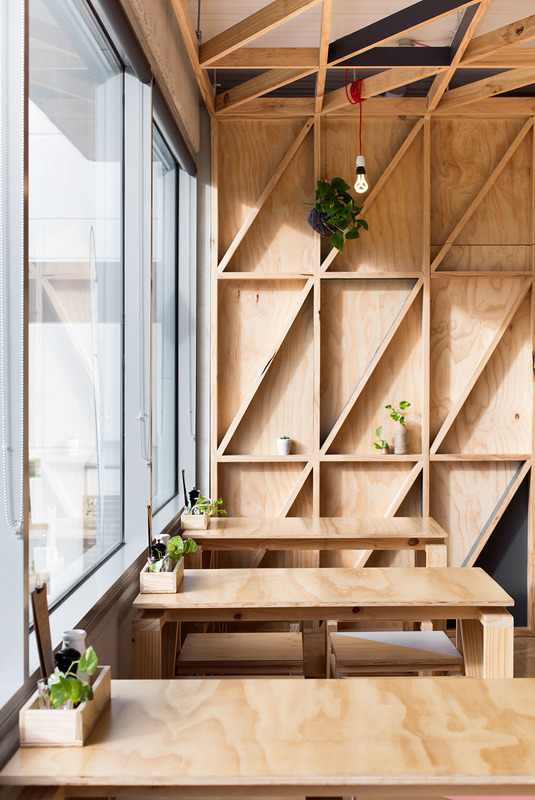 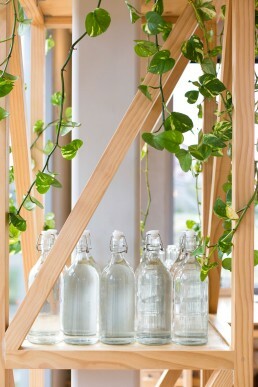 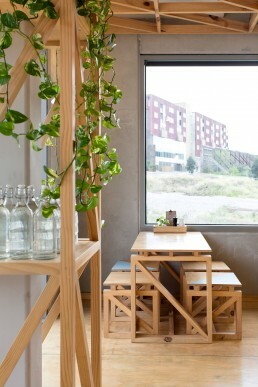 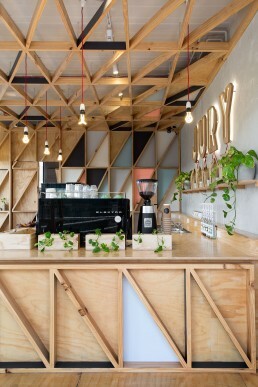 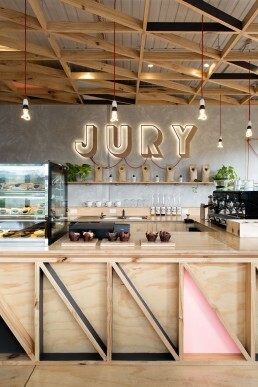 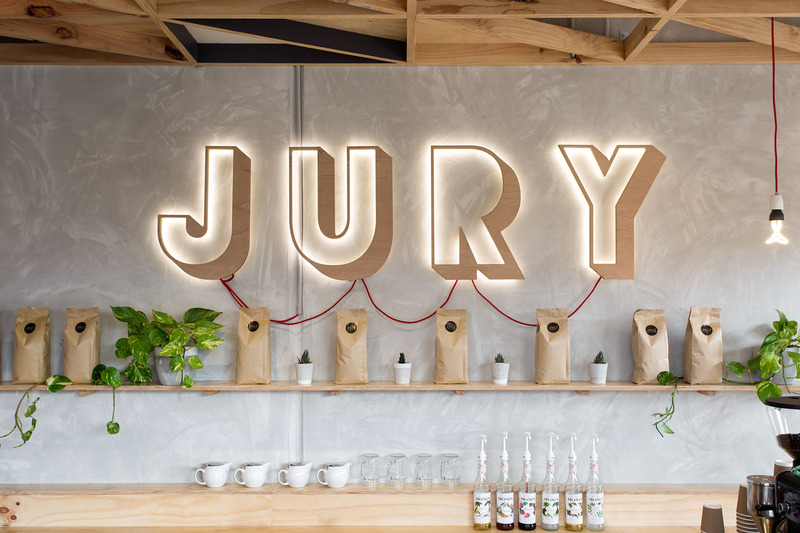 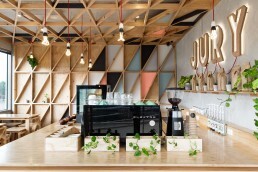 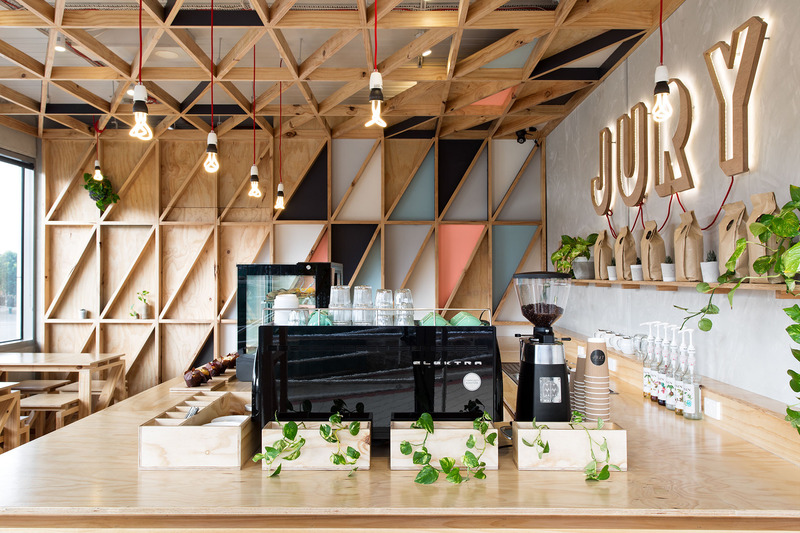 Jury Cafe was previously located within the bluestone walls of an iconic historical site – Pentridge Village, formerly known as Pentridge Prison, a prison decommissioned in 1997. 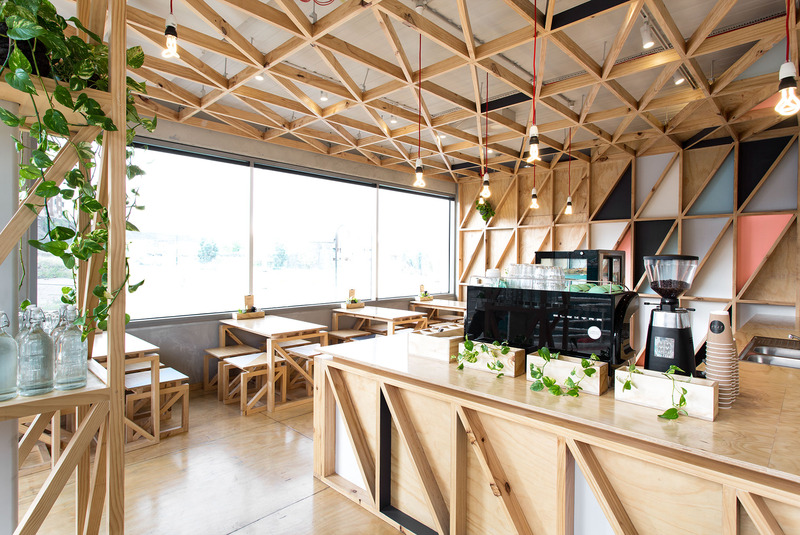 We wanted to respect its dark past, and also breathe new life into the space for its future patrons to enjoy. The theme of irreverence led us to develop a concept around creating contrast between dark existing elements and a material palette of light and bright colours with blonde timbers. 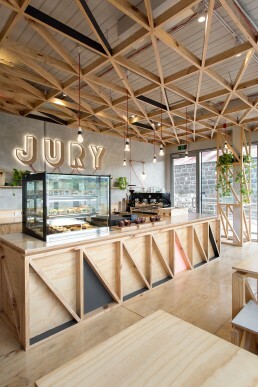 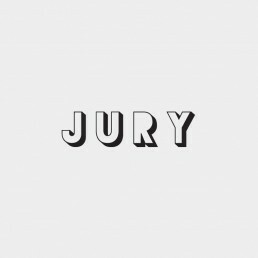 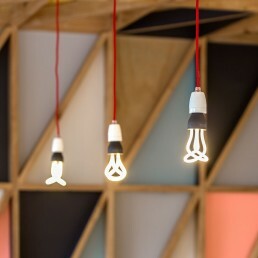 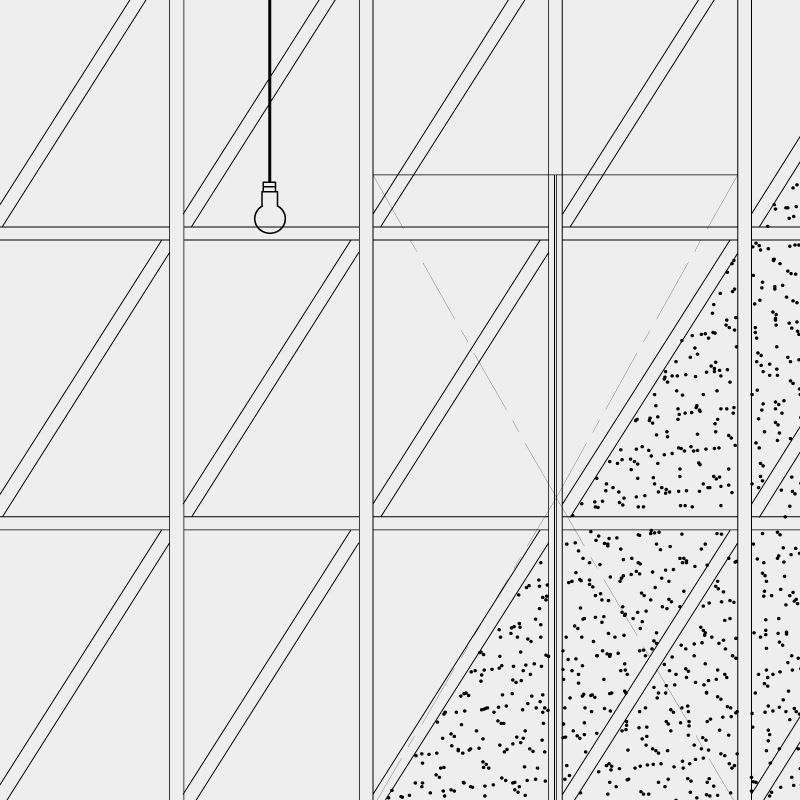 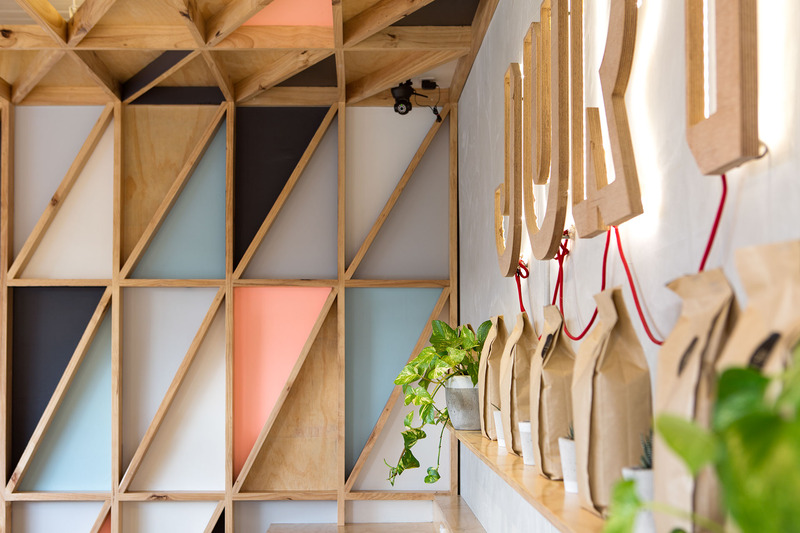 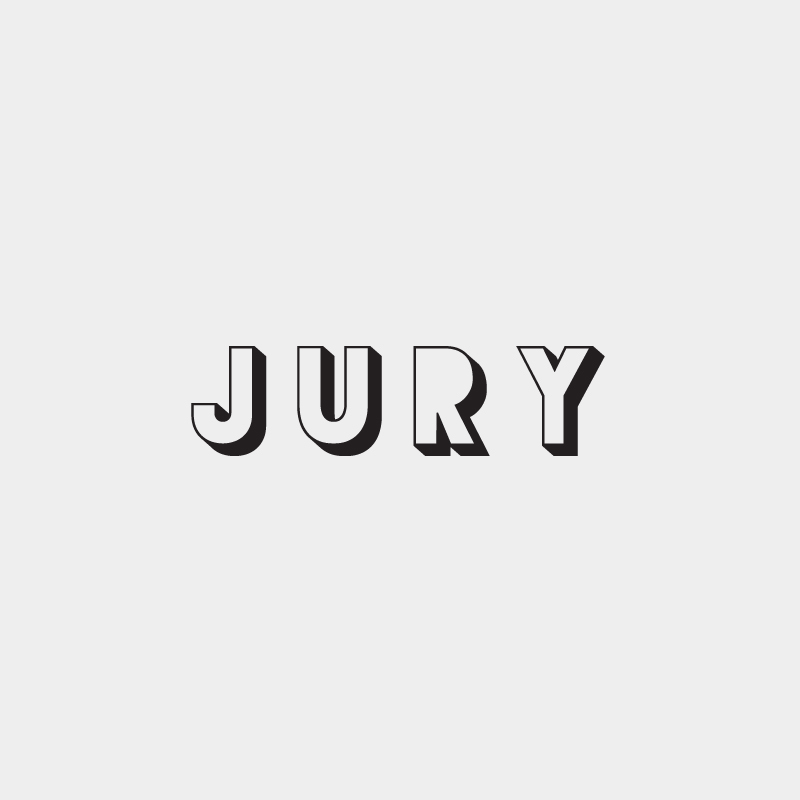 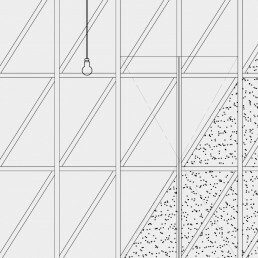 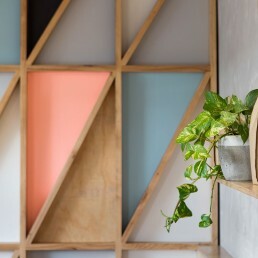 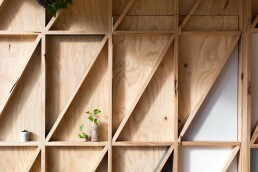 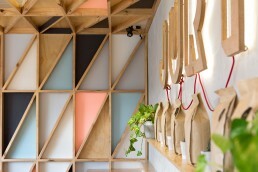 With the playfulness of colour, we combined a selection of raw materials – plywood, structural timbers and concrete – to form a geometric feature pattern within the walls of Jury. 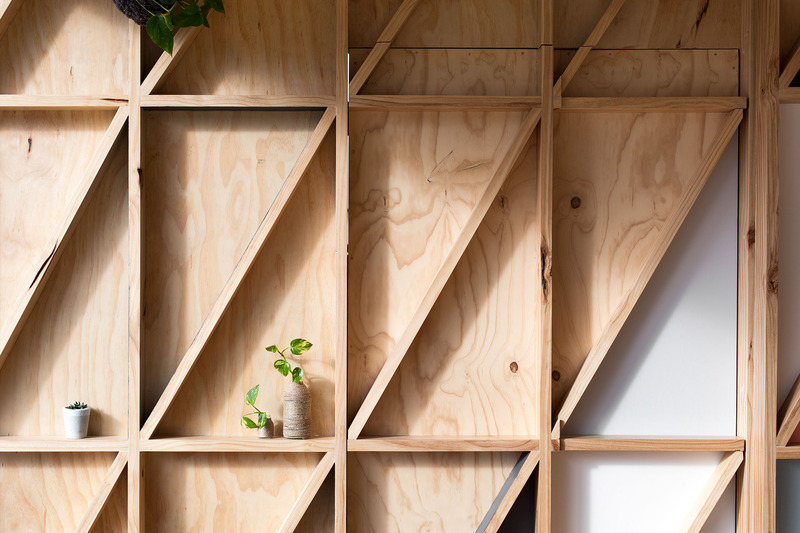 The result of this featured structure created a fun, playful effect – one that brought the site to life and allowed it to move forward from its past.